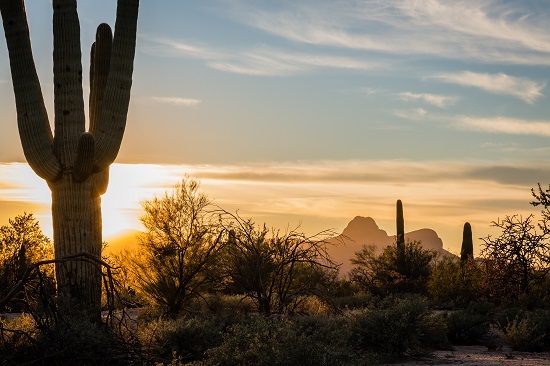 Marana, Arizona is celebrating its 40th birthday this year, and the town has a lot to be proud of! Seldom does a town have such a miraculous change in four small decades as those, which our beloved Marana has undergone. In honor of this momentous occasion, we wanted to share some of the town’s successes and most notable people with you, in no particular order. Every great town is built on the backs of great people. In Marana, the Post family has had a profound influence on everything from education to irrigation to law making. Most of the Post crew has performed civil service to our town in one way or another, helping to bring this formerly farm-only area into a bustling place of commerce that still respects its land and natural resources. Dedicated to this town, Dan ran for Mayor of Marana in 2016. Dan’s sons Jon and Del have also made their marks on city politics and law making, serving in various facets of civil work and management positions. The family has a history of being farmers, small business owners, and very involved citizens, and they’ve worked hard to make Marana great. For a long time, there was an inefficient debate between the Town of Marana and Pima County regarding ownership of the wastewater treatment plant. Today’s growth in the town can easily be attributed to the war that was won over this facility back in 2012, when town officials and residents came together to endorse the state legislation that eventually granted Marana control of the plant. Fast forward five years later, and the Marana City Council has granted permission to expand the plant, as well as the neighboring water recharge facility. If you want to see what Marana is truly all about, your journey should begin with a tour upscale community. At The Ritz-Carlton Residences, Dove Mountain, we offer an incredible assortment of customizable, luxury, single-family homes, nestled amongst some of the most breathtaking views in the country. Luxury custom homes in The Residences range from just under 1,700 to nearly 5,500 square-feet and are available in two neighborhoods. Marana, Arizona is celebrating its 40th birthday this year, and the town has a lot to be proud of! Here are some of the town's successes and most notable people.